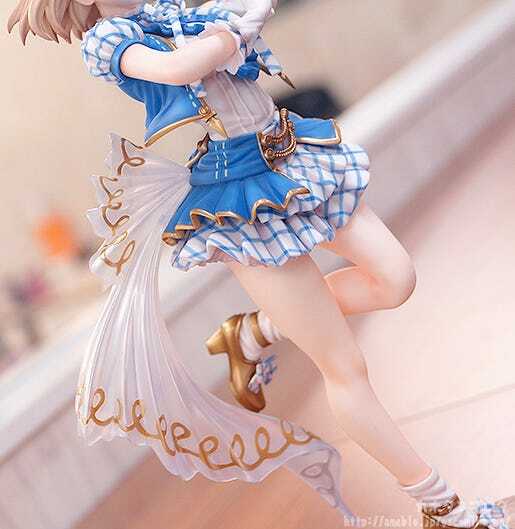 From the popular smartphone game ‘Granblue Fantasy’ comes a figure of Djeeta dressed up in the popular idol outfit she wore during the 2015 April Fools’ event! 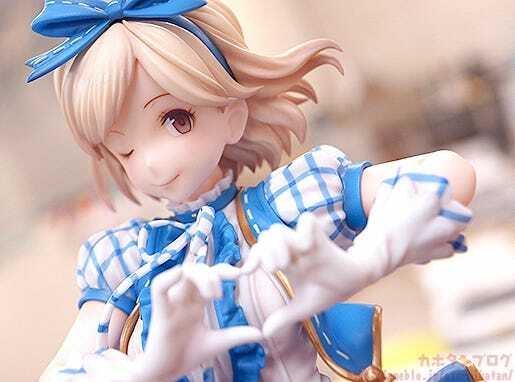 The gorgeous outfit, cute pose and lovely smile all come together to bring out the idol in Djeeta! You may have only seen this version of her on April Fools’ day, but now you can add her to your collection to enjoy her live performance whenever you please! The factory is going to have their work cut out for them! The shoes also have a metallic look to them which contrasts with the soft looking socks and bow that ties the whole shoe together so nicely!! Plus just look at her lovely body! The perfect body for an aspiring idol! 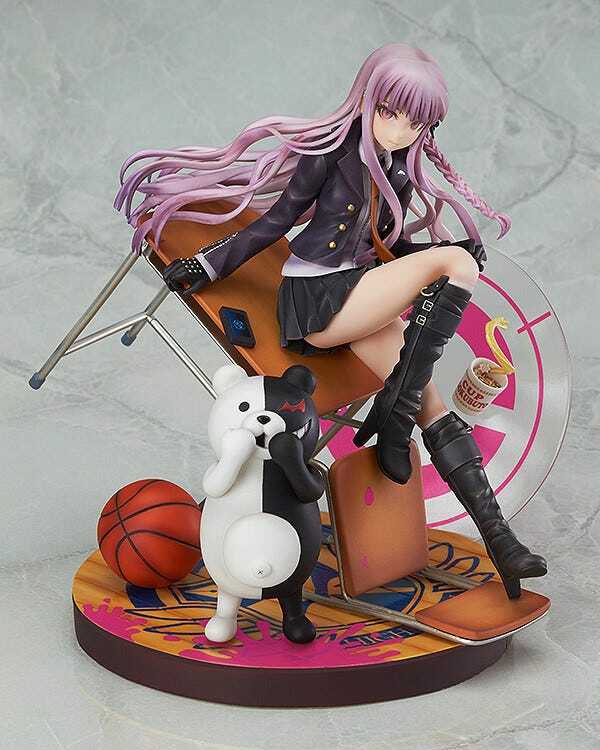 Personally I love the sculpting and shadows of the area around her knees from this angle! 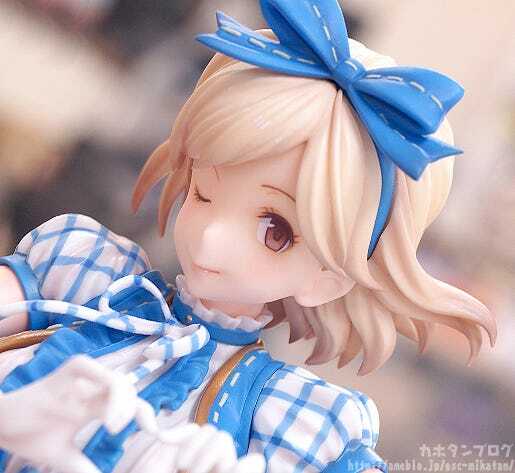 Plus this cute idol wink with glossy lips! ▲ Nothing says idol more than a winking expression! I’m probably focusing too much on the things that stand out to me personally… but this is just one of those figures! It has so much to enjoy that you can’t help but point out the parts that stand out the most to you!! ▲Cutting things a little close with a bit of a low angle! The figure also gives amazing detail to areas that you can’t normally see straight from the front! The creases on the shirt beneath the blue overcoat has been very intricately detailed… as are some other areas that aren’t quite visible in these photos!! 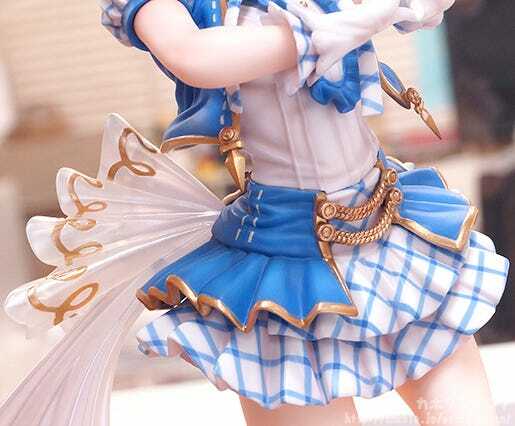 Be sure to take a look from all sorts of angles once she joins your collection!! The pose has her hips twisted a bit, which you can tell by all the creases in the outfit which add a lovely dynamic feeling to the figure! It’s one of those figures that looks good from all sorts of angles, so you’ll have to experiment a bit to find the angle that suits your collection best! 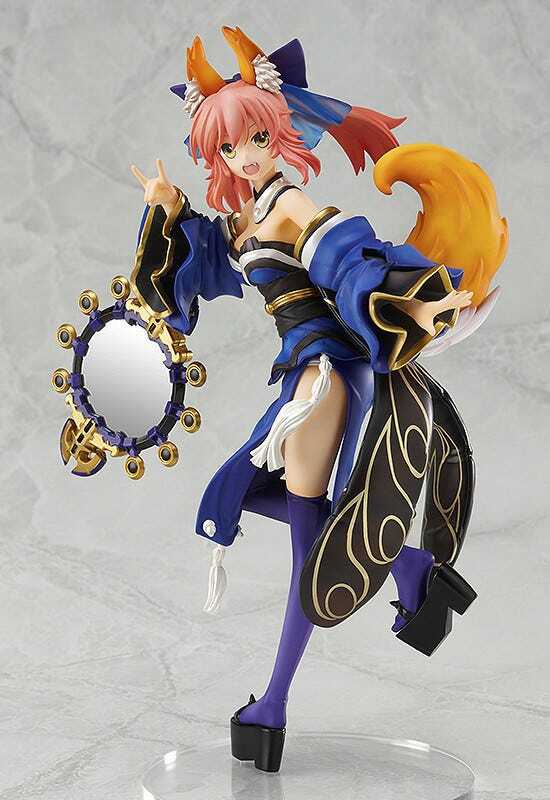 The figure is sculpted by Phat’s iTANDi! ▲ Rerelease currently up for preorder! 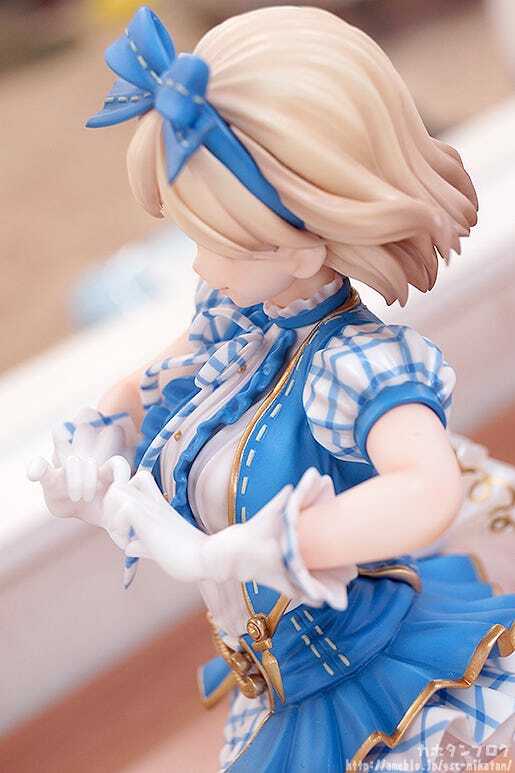 Be sure to take a nice close look at the sculpting details when she joins your collection!! She may have been an April Fool’s joke once, but now you can add her to your collection to enjoy her performance any day of the year!